Recruits receive one hour of free time each day to give them a break from the close, constant association with their drill instructors. This free time is often used to write letters, unwind and prepare for the next day. You may be a lucky parent and receive a lot of mail from your recruit. Many are not so lucky, as recruits are very busy during boot camp and will likely be using every spare moment to study and get caught up on work related to becoming a Marine. Recruits are given time to write, but it is up to each individual recruit to choose what he or she needs to do during that free time. Don't be surprised, and try not to worry, if your recruit sends letters that express feelings of being overwhelmed, sadness, or homesickness. It is not uncommon that by the fourth week or so of boot camp, a recruit may write home saying that he or she has made a mistake and doesn't want to finish boot camp. Don't despair—continue to write and encourage your recruit and let him or her know how proud you are of them. Your recruit is going to write home telling you what's going on in boot camp and about the multitude of emotions that he or she may be experiencing. Your recruit does not intend for you to share parts of those letters in a public message board community. Your recruit is going to be very careful about what he or she shares with other recruits, via both verbal communication and body language. Your recruit would never complain to a Drill Instructor. But your recruit may share things with you in his or her letters home that he or she wouldn't share with anyone else. These letters are your recruit's private conversations shared with you in confidence. 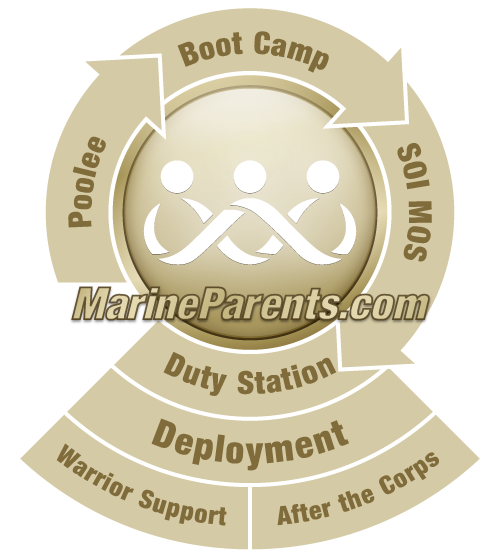 For 13 weeks, you are your recruit's sounding board for everything related to the trials and tribulations he or she is undergoing in recruit training. You are the "safe" place for your recruit to share everything. Your recruit does not want his or her Drill Instructor to read his or her private thoughts from the letters he or she send. These letters are intended for you and you alone. Please respect your recruit's privacy and refrain from sharing information from his/her letters on ANY public message boards.